Future shapers wanted! A future shaper is a disrupter. A trail-blazer and forward thinker. A dare-devil with grit and determination. Passionate about driving change. Ready to go ahead and take the lead. Become an F15® Graduate in Arla! 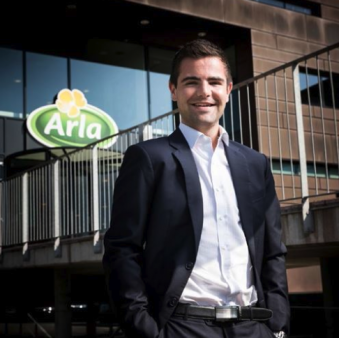 As a F15 Graduate you are expected to become one of Arla's future leaders and help shape our business moving forward. The F15® Graduate Programme is a fast-track leadership programme that includes three different eight-month rotations. Each rotation will be in a new business area and location where you will get to work on high profile projects while growing your strategic and functional skillsets. We will nurture your talent for becoming a future leader in Arla, and among other things, you will learn how to be a high-performer in a global, farmer-owned FMCG company. Being part of a graduate programme in Arla Foods is truly special and is a fantastic opportunity to kick-start your future career. The application window for the 2019 intake, opens on 12 November 2018 and the application deadline is 7 January 2019. Explore our F15® Graduate Programme and get insights from our current F15s on our F15® blog. The F15® Graduate Programme begins in September with a thorough introduction course to the various fundamentals of the Arla value chain - what we call ‘From Cow to Consumer’. Being part of a leadership programme means that you will be invited to join assigned training weeks in different markets focusing on leadership skills, strategy, change and your own development. Besides that, on-the-job as well as functional trainings will be closely linked to your role in the organisation. To anchor your new skills, you will conduct an innovation project with your F15® colleagues which you will pitch to Arla's executive management at the end of your programme. During and at the end of each rotation, your host manager will evaluate your performance and behaviour in the current position: Did you reach the objectives and how? This input will inspire you to work with your Personal Development Plan and bring focus to your strengths and areas for improvement. Throughout the F15® Graduate Programme, you will be coached by a personal mentor from our Talent Acceleration Programme (Senior Managers and Directors) who will guide you on your Personal Development Plan and help you build strong networks with colleagues and decision makers. For more information please visit our blog, where you can meet some of our current graduates and get their perspective on the F15® Graduate Programme.